Medstar Medical Transport specializes in providing non-emergency long distance trips throughout the United States. We provide the best rates in the country, Please request a quote today! As a transport company for hospice patients our Transport Specialists are specifically trained and understand the sensitivity, patience, and compassion required to make each transport as quickly as possible without compromising safety or comfort. 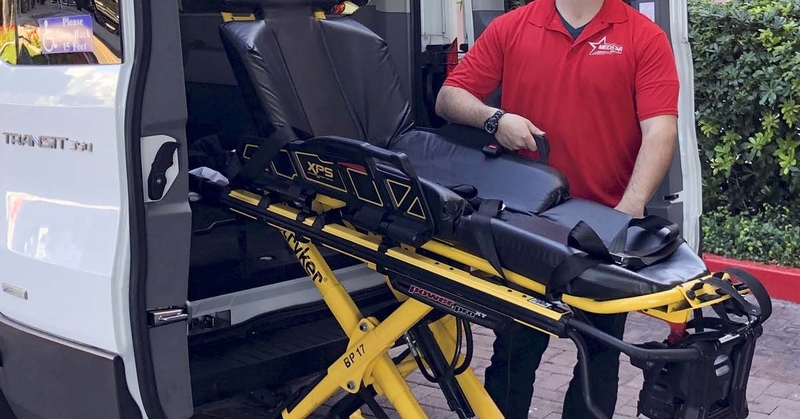 Medstar offers stretcher transports on fully automated Ferno Power-Flex stretchers. Power-Flex stretchers make transfers much more comfortable for the patients as it provides a smooth, level vertical lift. When you're wheelchair bound, getting a ride to medical appointments or for other reasons can often be difficult. Though friends and family try their best, they aren't always available when you need them. Non emergency transport for patients that are able to walk on their own or with driver's assistance.